This package is a series of courses, covering the taxability of income and how to determine/report gains and losses on the sale of assets. 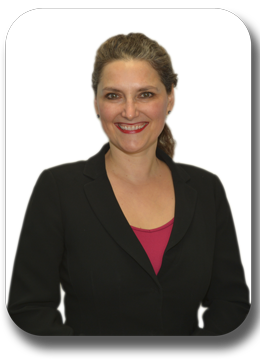 It begins with our Wage Reporting, Fringe Benefits, Other Income and the Foreign Earned Income Exclusion course, which covers the taxability of wage, tip, fringe benefit, and foreign income, while also providing an overview of various forms of other income. 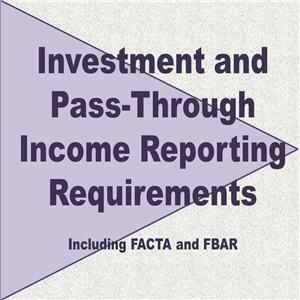 Investment and Pass-Through Income Reporting Requirements (Including FBAR and FATCA) covers investment income, income that passes through on Form K-1, and investments held outside the U.S. 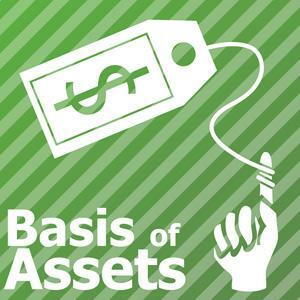 The package continues with Basis of Assets, which covers the rules for determining the basis of assets for calculating gain or loss upon sale. The final two courses are Sale of Business Property and Reporting Capital Gains and Losses, which cover reporting requirements for dispositions of capital assets on Schedule D and individual transaction reporting on Form 8949. We also provide a close-up look at how to report dispositions of business-use assets on Form 4797. 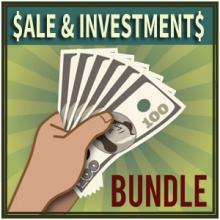 Determine the amount of passive activity loss that will be treated as a non-passive loss on sale of an interest in a publicly traded partnership.